This Winter, what we treasure brings us together in "Kepler’s Dream." Sean Patrick Flanery (The Boondock Saints, Powder), Kelly Lynch (“Mr.Mercedes”, Charlie’s Angels) and Holland Taylor (The Truman Show, “Two and-a-Half Men”) star in director Amy Glazer’s highly anticipated feature adaptation of the hit YA novel by Juliet Bell, in theaters and On Demand December 1 from Leomark Studios. 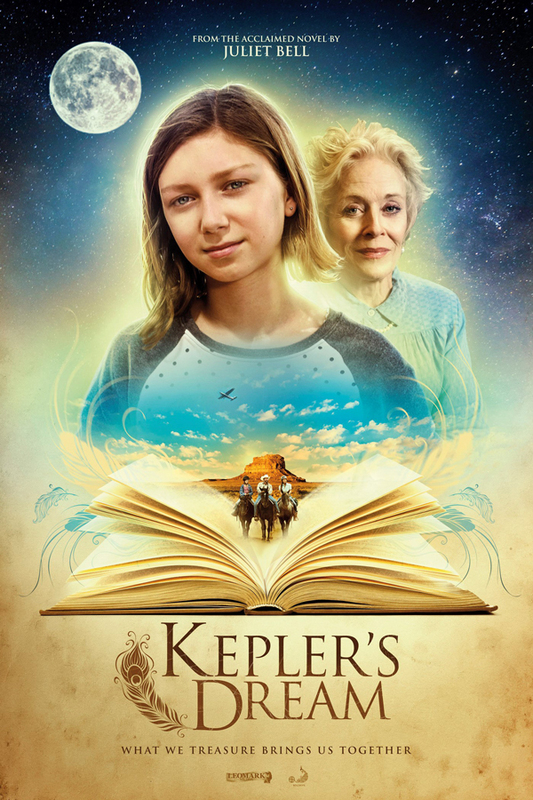 Eleven-year-old Ella (Isabella Blake-Thomas) is a city girl forced to spend the summer on the New Mexico ranch of her reclusive grandmother, Violet Von Stern (Holland Taylor), while Ella’s mom (Kelly Lynch) undergoes chemotherapy in another state. As she tries to cope with her grandmother’s strict rules and snooty friends, Ella longs for her mother and begs her estranged father for rescue. But Ella’s dad (Sean Patrick Flanery) has his own reasons to stay away from his childhood home. Meanwhile, Ella finds allies in fatherly ranch hand Miguel (Steven Michael Quezada) and his down-to-earth daughter Rosie (Esperanza Fermin). But when a priceless book is stolen from Violet’s collection, Miguel is the key suspect and Ella must find the real thief in order to save her friends. Emotional connections are reshaped, and a family that was lost finds its way. The music of Patrick Neil Doyle helps tell this unusual and heartwarming story. Steven Michael Quezada (‘’Breaking Bad’’), Kelly Hu (X-Men 2) and Isabella Blake-Thomas (Once Upon a Time, Rise of the Guardians) co-star. "Kepler’s Dream" in theaters across America and available on On Demand from December 1.